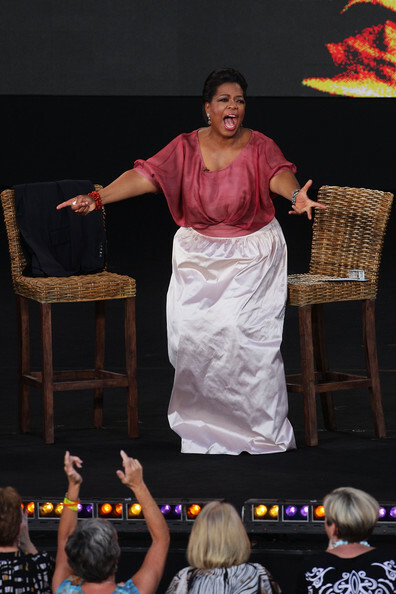 Oprah Winfrey speaks with the audience during the second taping of the 'Oprah Winfrey Show' at the Sydney Opera House on December 14, 2010 in Sydney, Australia. 12,000 audience members were selected from 350,000 applicants to participate in two tapings of 'The Oprah Winfrey Show' at the Sydney Opera House. Oprah descended on Australia last week with 302 super fans from the US, Canada and Jamaica to produce four shows for the 25th and final season of the program. the shows will air in the US and Australia in January 2011.